NEVER DIE! 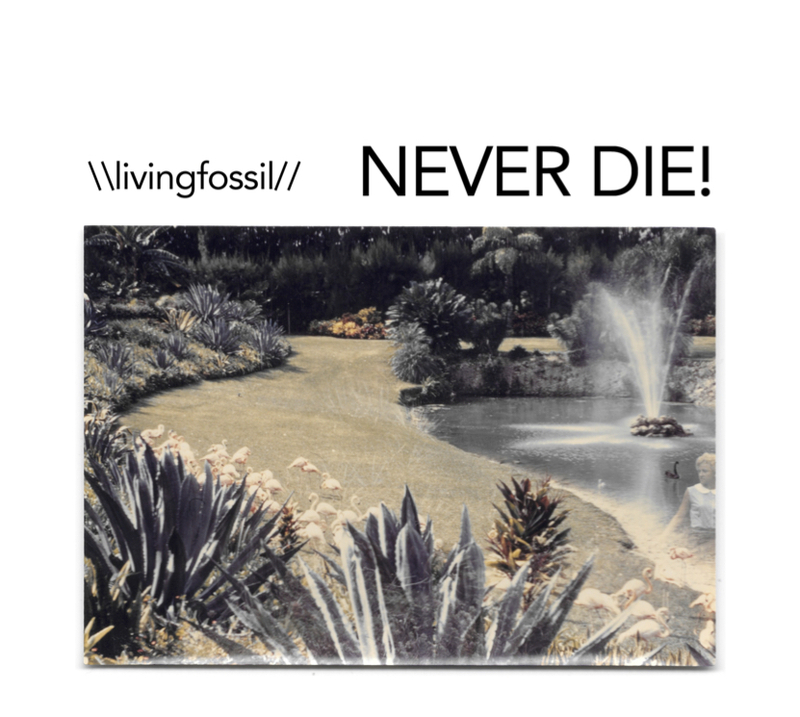 is the debut album by \\livingfossil//, led by Toronto born-and-raised saxophonist Gordon Hyland. The band features a roster of musicians – all active players in the Toronto scene – , who have had important roles in Hyland’s career: be it as collaborators, friends, and/or mentors, including tenor saxophonist and co-producer, Mike Murley. The non-standard instrumentation (the use of two guitarists) allows each musician to shine equally and leads to the exploration of Interesting new timbres: unison doubling between guitars and saxophones, effected instruments, and compositional forms in uenced by graphic scores and free improvisation. Most of the tracks on this album are original works by Hyland. NEVER DIE!, the album’s title track, encapsulates the overall theme of the album: it is a tragicomedy, where the nostalgic saxophone melody is interrupted somewhat rudely by an explosively Zappa inspired groove. Despite the cacophany, Hyland’s sense of humour never allows the album to sink completely into the darkness.